Everyone has fond memories of their childhood kept in the corners of their mind. Part of the fabric that make each of who we are, those very memories are there whenever called upon for comfort or hope. A theatrical soul since early life, Tamara “Tami” Stronach has devoted herself to a life of art, spreading her talents across the broad through dance, music, and acting. Affectionately known for her role as The Childlike Empress in the iconic 1984 Fantasy film The Neverending Story, Stronach continues to find inspiration with her dance company, choreography, and now the multi-facets of the Paper Canoe Company. Reignited with a spark for acting in film, Stronach approaches the world of cinema once again with the maturity and skill set that has devoted followers buzzing. Recently we caught up with Stronach to talk her experience being a part of The Neverending Story, her work in the arts, her desire to return to film, and much more. CrypticRock.com – You began your career in the arts at a young age, and at only 12 years old, you starred in the now iconic 1984 Fantasy film The Neverending Story. First, tell us, was acting something you always had a passion for? Tami Stronach – I really loved performing from the time I was born. When I was little, my parents were archaeologists in Iran, and they took me to the ballet. That left a really huge impression on me and I made my poor kindergarten classmates suffer through The Dying Swan (1905) over and over again (laughs). I was constantly performing as a kid. By the time we made our way to the United States, I was in dance and theater classes. I was with a local theater group for children which would go around and do shows in various schools. It was just something I always enjoyed. The Neverending Story was very much an accident. I was in an acting class that the acting director was friends with my acting teacher. She came over on a break for lunch, she was a little bit early, caught the tail end of the class, and asked me to come and audition. It really wasn’t something I was pursuing. I didn’t have an agent, I was just involved in local artistic endeavors for the fun of it. 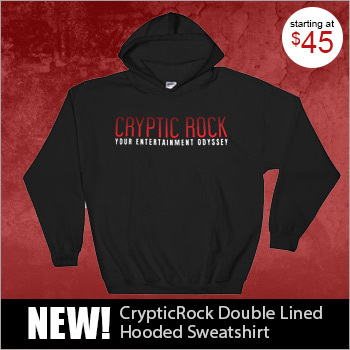 CrypticRock.com – That is a pretty amazing accident. 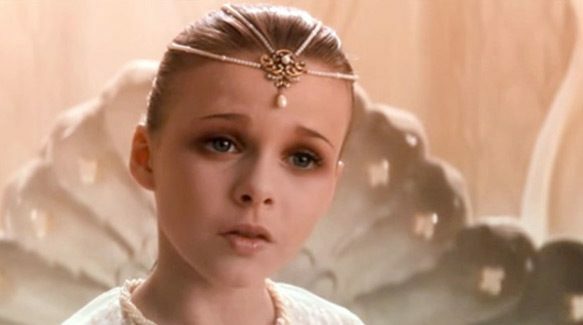 As mentioned, you played an important role in the adored The Neverending Story. Since the film’s initial release over three decades ago, it has gone on to be regarded as one of the best Fantasy styled films of all-time. What was your experience like working on the film? Tami Stronach – It was incredible. I loved it. I was a kid who felt most comfortable in fantasy worlds (laughs). To be able to dissolve into this incredible set and amazing artistry, everything was so incredibly made; the design, the makeup, the set pieces, the puppets. I was just totally enchanted. I really liked the behind the scene aspect as much as my portion of the film. I just loved walking around the set and soaking up all the details and how the whole thing was put together. CrypticRock.com – It sounds like it was a fantastic experience. This was a film that really explored the imagination of people of all ages. 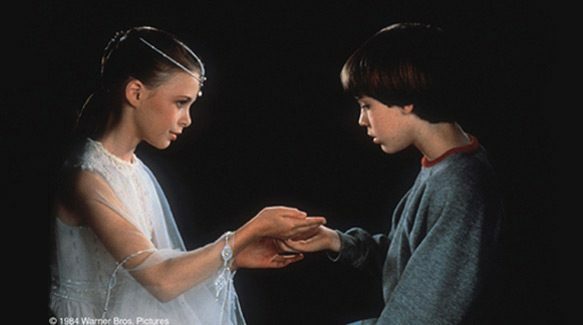 What do you think makes The Neverending Story still magical all these years later? Tami Stronach – That is such a great question. Obviously I am surprised by the staying power, very pleasantly. I don’t think any of us could have anticipated it. I think the story, which was translated from Michael Ende’s book, has these really powerful messages. All the windsy and magical characters add to it, but underneath all of it, there really is a depth to the story. When in really dark times, it is really our ability to imagine our way forward that is going to save us. Historically, I think that is always true. The people who can vision a better future and vision a way forward manage to see doors and openings that the rest of us don’t. This notion that in each of us resides the power to imagine a better world, a kinder world that we can actually manifest if we believe in our vision enough, that is a powerful message and I think it is one we all need to hear. CrypticRock.com – Agreed, completely. There is that positive message. You actually had stepped away from professional acting following The Neverending Story. Upon reaching a more mature age, did you ever think of getting back into acting in film? Tami Stronach – Well, I definitely stepped away from celebrity. I was kind of freaked out by it (laughs). Although, I never stepped away from making stories. Even though I was mostly concentrating on dance and choreography, I was in a theater company for seven years in New York City. Most our shows were backed by Soho Repertory Theatre, which is a wonderful playhouse in downtown Manhattan. We toured nationally and I did a variety of other plays here and there. So the acting bug, I couldn’t quite get rid of it…it kept on surfacing (laughs). I mostly itched it through live performance. Definitely my dancing and choreography career were foremost in the front. Now, I feel it is coming out. I had a baby girl who is now six years old! With the birth of my daughter, I founded Paper Canoe company, which makes family entertainment products. In a way, it is kind of coming home two where I started, it is something the whole family can get something out of. I realized that, in many ways, I wanted to bring all my passions under one umbrella. I wanted to tell modern fairy tales for my kid as well as for families and use all the skill sets that I had amassed over time. 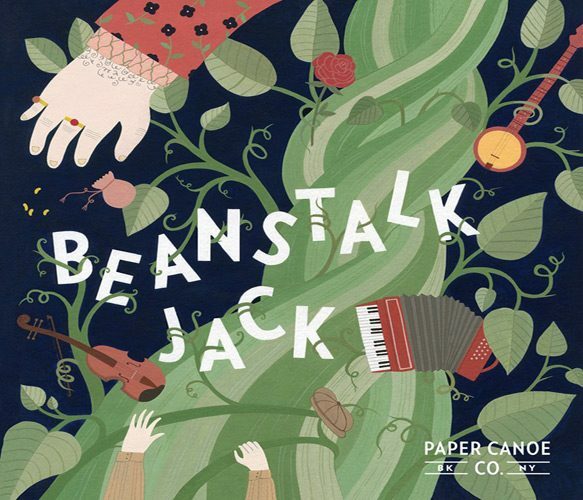 We have been playing live shows and we also made a new album based on the story of Jack and the Beanstalk with a girl meets boy twist. I am choreographing the music videos for that which brings some of my dance background into the music. Also singing again, as a kid I made a small single in Germany after The Neverending Story. For me, it is an opportunity to return to some things I did as a kid. Obviously, the way I look at celebrity in my forties is so different! I suddenly feel an enormous sense of gratuity to be part of this thing. The fact that means something to people and moves people, I feel so grateful to be a part of that. I am enjoying connecting with fans. I have been going to comic cons, I interact with fans on twitter. It really is something I take pleasure in now and feel very grateful to be a part of it. 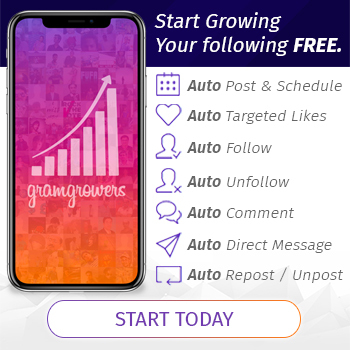 CrypticRock.com – It sounds really wonderful and fans have to be excited to have that ability to connect with you now. Paper Canoe Company sounds fascinating, combining all your passions. It is interesting what you said about celebrity. Often, as consumers, when we do not see someone in film or television we neglect to realize they are involved still artistically. Tami Stronach – Yes, and I also feel like at this moment, since I started doing comic con circuit…I was invited because Noah Hathaway would be there. I really did not know too much about comic con, I was so focused on my performing in NY and surviving as an artist here. It was not really on the forefront of my mind, but I thought it would be so fun to see him because I had not seen him in 30 years. He ended up not showing up, but what it did was it got me to the comic con, which I don’t think I would have gone to otherwise. Then I realized, what a special opportunity it is to give people a hug. Really, the film is not just about the film. It is about the people who watched it, who they were at the age, what it meant to them, and why it meant that to them. It is place for connecting with people and for them connecting who they were as kids. I realize what a special opportunity that was. From there, I suddenly realized how many people are rooting for me to get back into film and television. Now I have a few irons in the fire because I kind of feel like when you have that many people rooting for you, you really should try to do it! CrypticRock.com – Yes, absolutely. 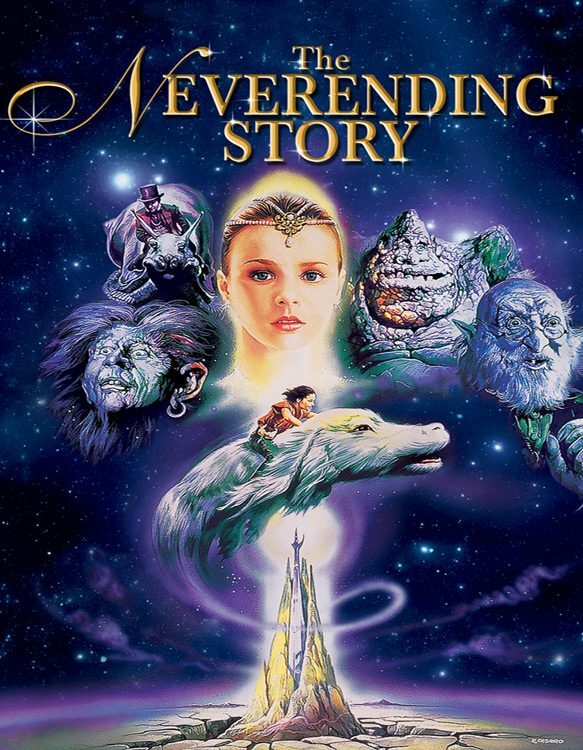 You are right, The Neverending Story is a film children of that generation strongly connect with still to this day. As a choreographer, what would you say is the most challenging part of motivating and directing others? Tami Stronach – Being an effective motivator is really important. The issue is everyone is a little bit different. I think part of it is listening to people and trying to understand what is important to them so that you can ignite their own passion for the project through the things that are meaningful to them, rather than opposing your agenda on the situation. I am a very collaborative person, I really enjoy the idea of more minds working together and making things richer. Obviously, having the confidence of the director to steer the boat and make the decisions that need to be made. Really the invitation to have artists not just be bodies in the room, especially in dance, where sometimes you can feel like the mental and intellectual part of it, in certain situations, can be taken away from artists. I think when you invite the whole person in, you get a much better result, and it is more fun for everyone. CrypticRock.com – That is a great piece of advice. Most people do flourish when they are given the freedom to develop on their own. Being a dancer, musician, and actress, how would you compare each of the different forms of expression? Tami Stronach – Yes, they are really different. Dance is obviously kinetic, but a lot of the narrative portions of dance get conveyed through images. It is really like dreams, and your dreams tell you what is going on in pictures. Dance is a poetic medium where the image is crafted in such a way to tell the story or what is included in the picture and what isn’t. Obviously, language has a really different way to tell a story – it can be much more detailed, it can be much more nuanced. Music really just goes right to your gut. It bypasses the brain, I feel like it goes right to your heart. I think that really good storytelling manages to hit your gut, heart, and brain all at the same time. I am really attracted to films that don’t just tell the story through the language, but who also tell the stories through the quality of the image, quality of the light, through the costumes, the image, and how it is framed. That is the choreographer in me, I am really attracted to the visual language of cinema. There is a lot of choreography in film. 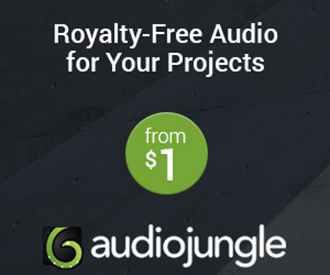 CrypticRock.com – Completely agreed. It is about creating an atmosphere and using that, making it something people can interpret in their own light. It is a delicate balance. My last question for you is pertaining to movies. CrypticRock.com covers music and Horror/Sci-Fi films. If you are a fan of the genres, what are some of your all-time favorites? Tami Stronach – I am a huge fan of Sci-Fi. I have to say I like Horror films, but I like Horror films that are a little bit more on the Suspense and the Psychological Horror side rather than the gore. 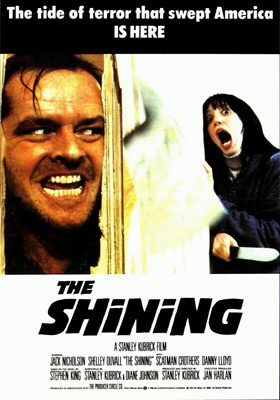 I feel like The Shining (1980) was just the most incredible film – speaking of cinematography and images, those are burned into your skull forever. I am a huge fan of Sci-Fi, I will watch any Sci-Fi. I am sort of a Sci-Fi junkie, that is my favorite Netflix thing. 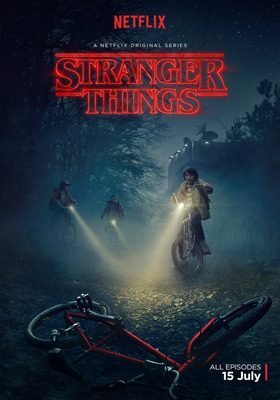 I watch Humans, The Expanse, Stranger Things which has elements of Horror. I think it is really effective to think about reality through the lens of something extraordinary. It kind of wakes us up to what is really happening in our world. I think we often need to exit from realism into these more fantastical mountains to make comments about reality.